I've just ordered myself the cream version of these shorts. I had seen this picture so long ago on Tumblr and I've been on the lookout for them ever since! I've seen alot of people in the black pair but not so many in the cream pair. I found some on eBay for a few pounds less than this, but the quality looked horrible, so I hope these are nice when they arrive! How perfect is this for all us bloggers!? Just slip it onto the back of your door and have all your jewellery and beauty products on view and in easy grabbing distance! I don't know what it is about this jacket but I really like it! I used to really be into skulls, but now that has transformed into being obsessed with floral things so I probably won't be investing in this, but I think it's so nice! I love things that are designed to look vintage-y but are actually really sarcastic! This would be the perfect present for my best friend as we love a good old wine night together! 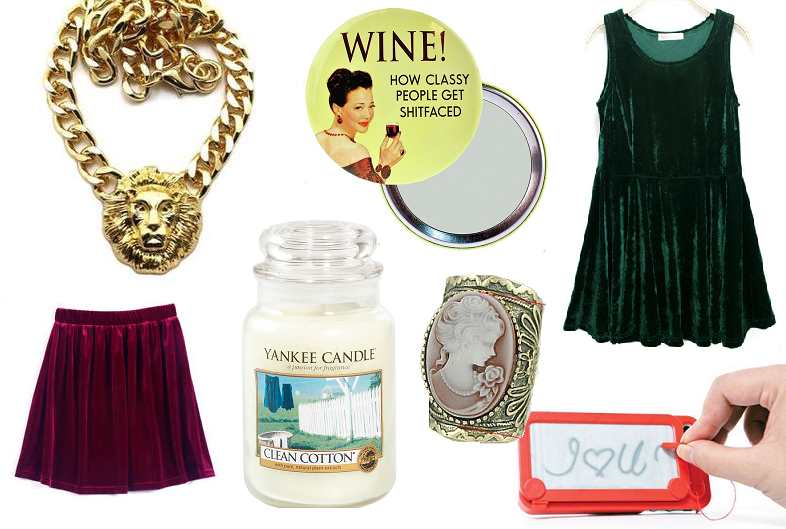 This is just basically a cheaper version of the Topshop velvet skater dress. They have some lovely colours available, my favourites being the burgundy and the dark green. The same as the skater dress, my favourite colours available are the burgundy and the dark green. I might invest in them so I have them for this Autumn/Winter. The large Yankee candles are usually RRP £19.99 so this is a great saving of £6. Quite a few of the scents have sold out already, but I might treat myself to the Clean Cotton flavour for my uni house next year and as a celebratory gift for completing my second year! I love all things cameo and have a nice little collection of genuine vintage cameos from various vintage fairs and carboot sales. I like this ring though as an everyday ring and it would look so lovely with a little lace dress. What is your favourite eBay purchase that you've made? Will you be adding of these to your watchlist? Or do you already have some of these? 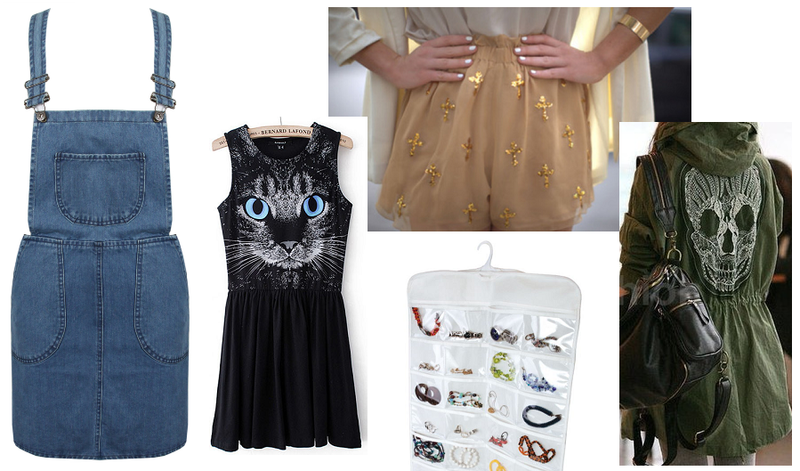 I love a lot of that stuff :) especially the cat dress and the green velvet one. Gorgeous. 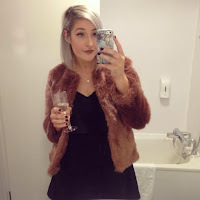 Love the velvet dress, can't believe the price! and how cute is that iphone case, wish i had an iPhone 4! The chiffon cream shorts are gorgeous! And I think I'm going to buy myself the cameo ring because it is beautiful. The phone case is like an etchasketch.......I'm not sure how you spell it. Love the velvet skirt and the necklace! I really love the cross shorts!